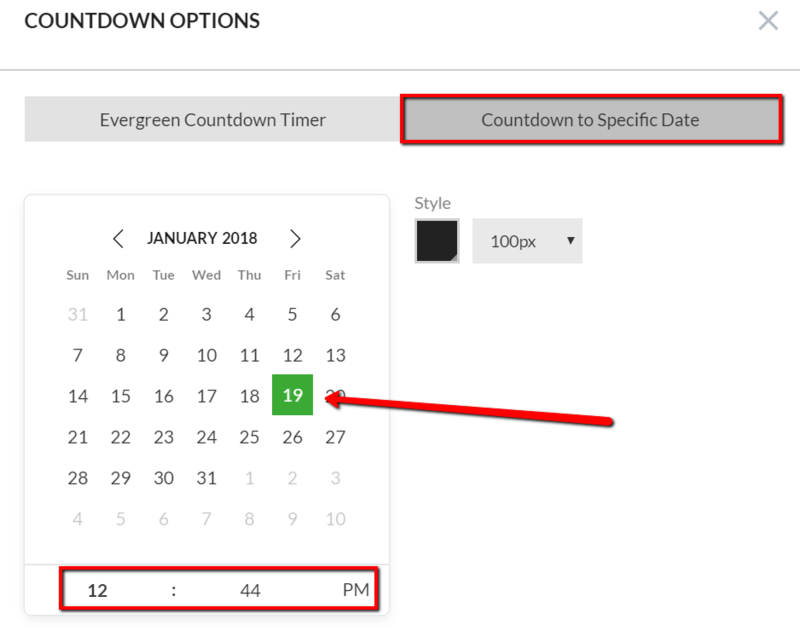 This element allows you to have a countdown timer on your page. This is a great tool for your sale page to incentivize visitors to buy! 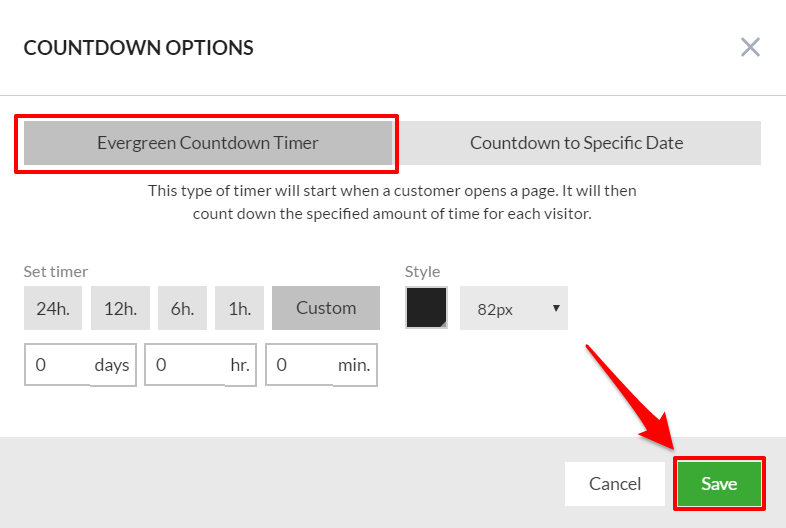 This mode allows you to set an exact number of minutes/hours/days which the timer will count down from for each visitor who visits your page individually. So the timer starts to count down once a visitor lands on your page. It continues to work for the visitor even if they refresh the page. You can select the timer time from a list of predefined times (24 hours, 12 hours, 6 hours and 1 hour) or you can set an exact Custom time. You can also adjust the Color and Size of the countdown timer. This mode counts down the time to a specific date that you set. So, the time remaining will be the same for all visitors that land on the page. Select the Year, Month, Day and Time of day that you want the countdown timer to count down to. Click the "Home" icon on the calendar once to go to your current day and twice to go to your current time (within a 15 minute interval). 1. Replace it with the content you specify (depends on the block selected). Note: This content will not be shown on your published page until the countdown timer runs out. 2. Completely hide the Countdown timer block after the timer has run out.